An outstanding alumnus is selected each spring from nominations we receive from the community. Each year's award recipient is honored at the annual President's Circle Reception. We depend on nominations to learn about RCC graduates who deserve recognition for their work. The nomination form is located at the bottom of this page; please consider nominating any person in your life who has graduated from RCC and has gone on to give back to the community. Nominations for 2019 are open! Please contact the RCC Foundation for any questions about this award. We look forward to receiving nominations and learning more about the outstanding alumni of RCC! Rogue Community College has many alumni who have gone on from RCC to contribute greatly to their communities, professions, and even back to the college. The RCC Foundation is committed to honoring these RCC graduates and in 2008 began an annual award to celebrate our outstanding alumni. Has achieved success in their business, profession, or other vocational endeavors. Has achieved success in their community, civic and/or volunteer activities through demonstrating significant contributions to the betterment of society through involvement in their community, public school systems, charitable organizations, and other humanitarian undertakings. Nominate your favorite alumnus today! The Rogue Community College Foundation is pleased to announce the recipient of the RCC Foundation's Outstanding Alumni Award for 2018 is Jennifer Harlow, who completed her Associate of Arts in 2006. Jennifer is currently the lead animator at L'Atelier Animations in Montreal, Canada. In addition to supervising a team of animators, she is the lead animation director for a new Netflix series called Robozuna, about a boy and his homemade robot attempting to free their oppressed nation from an evil empire! After her studies at RCC, Jennifer spent a year at Southern Oregon University before transferring to the prestigious California Institute of the Arts in Valencia, California. In 2010, Jennifer received a Bachelor of Fine Arts degree in Character Animation. 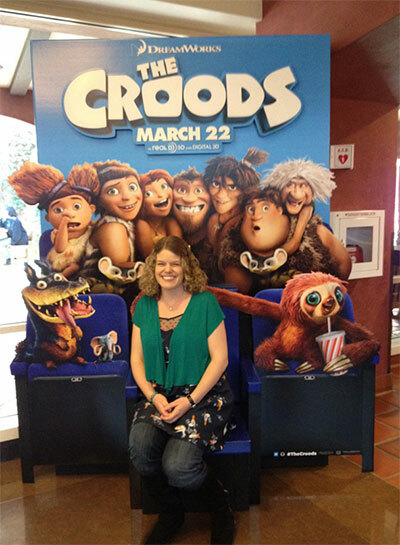 Her internship at the world-famous Pixar Animation Studios immediately following graduation helped Jennifer land a position as a character animator at the equally highly regarded DreamWorks. While at DreamWorks, Jennifer's screen credits include "The Croods," "How to Train Your Dragon 2," "Penguins of Madagascar," "Kung Fu Panda 3" and "Boss Baby." In addition to her professional success, Jennifer has been an instructor at California Institute of the Arts and has returned to RCC as a guest speaker in several classes taught by Carl Seyboldt, who nominated her for this award. Jennifer moved to Montreal to join L'Atelier Animation in June 2017. Jennifer is the daughter of RCC business technology instructor Joyce Graham, who is rightfully proud of her many accomplishments. Congratulations, Jennifer. We are very happy for your success and appreciate that you found your path at RCC.